Once upon a time in kindergarten you fell down. You might remember it. You tripped over Daniel’s foot and landed on your chin. It was a gaping cut. Your poor teacher was traumatized. 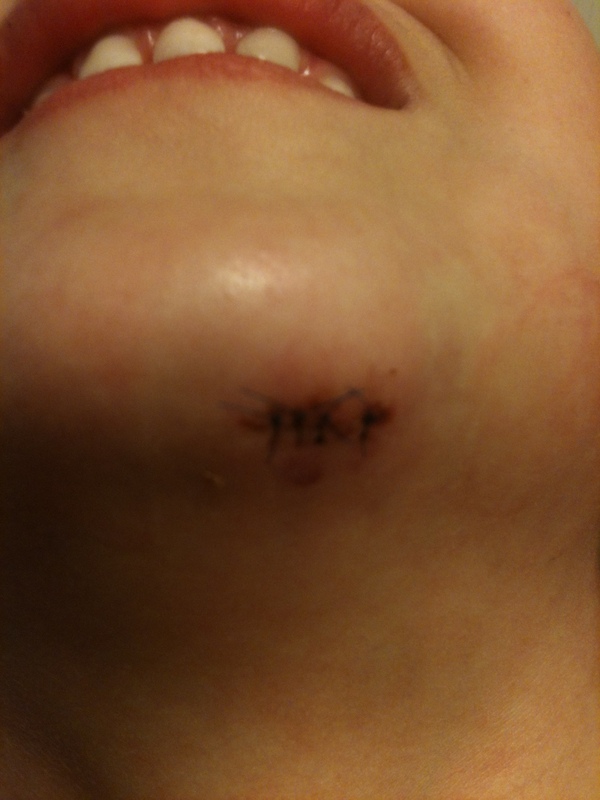 An ER visit later, you were the proud bearer of four stitches. A week later you fell again. You busted open the SAME stitches. I swear it’s true. Daniel’s foot was nowhere in sight. You were running in your socks during P.E. Even though I write fiction, I can’t make stuff like this up. Again, back to the doctor. They recommended more stitches. Here’s the part that you may now be blaming me for. I didn’t let them stitch you back up. There was no medical reason to do so. New stitches would have been purely cosmetic. I did take you to the eye doctor for a full exam. I also had your hearing and ears checked. I also took you to your pediatrician. You’re fine. You’re silly. You bounce around a lot. You fall. You seem rather resilient. If all of your supermodel dreams have been crushed by now and if you’ve been turned away by potential suitors because of the scar underneath your chin that no one can see, it’s my fault. Blame me. When you’re a mom, you might understand. If you’ve been keeping up with your piperisms, you know that our little spitfire took a tumble last week. She earned herself a trip to the ER and four stitches. The stitches thread is blue, which Piper thinks is awesome. You can read about the drama here. Yesterday Piper returned to school. She was excited to share her injury. Unfortunately, her mother made her put a band aid on it to keep out additional germs. Moms ruin all the fun. So Piper asked me to take a picture of her gruesome chin and print it. Stitches make for killer show and tell. Piper didn’t mind the attention one little bit. 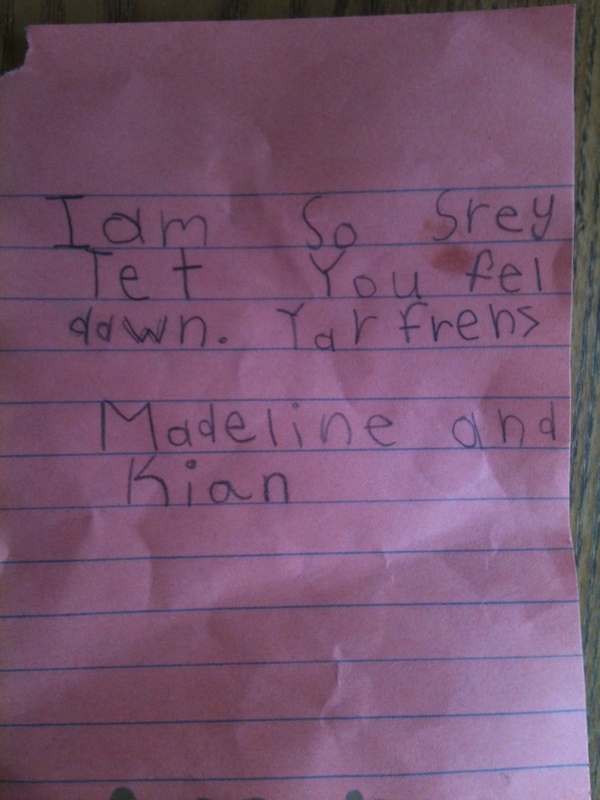 She came home from school with this note from two of her best buddies. After our recent trip to the ER (which you can read about here), Piper wanted Chinese food. It’s really the only thing to help you heal from stitches trauma. Doctor’s orders. 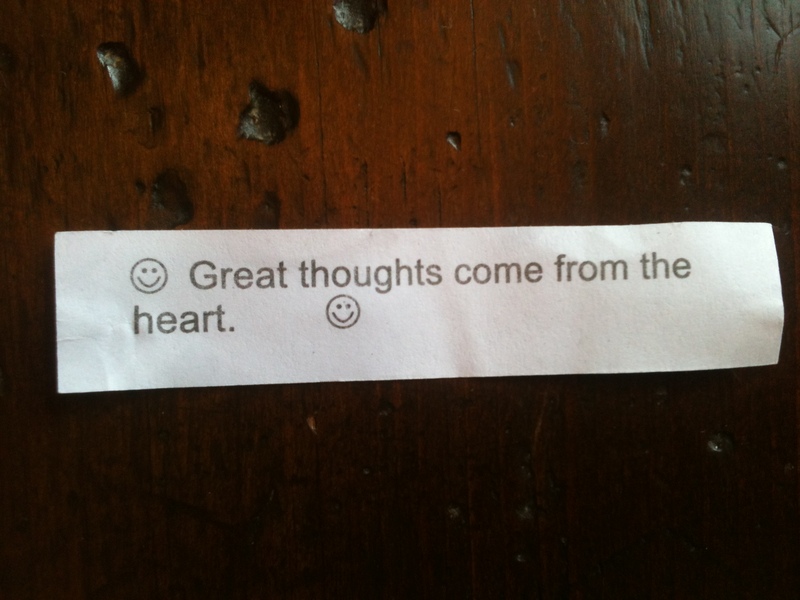 And, of course, one of the best parts of Chinese food is the fortune cookie. 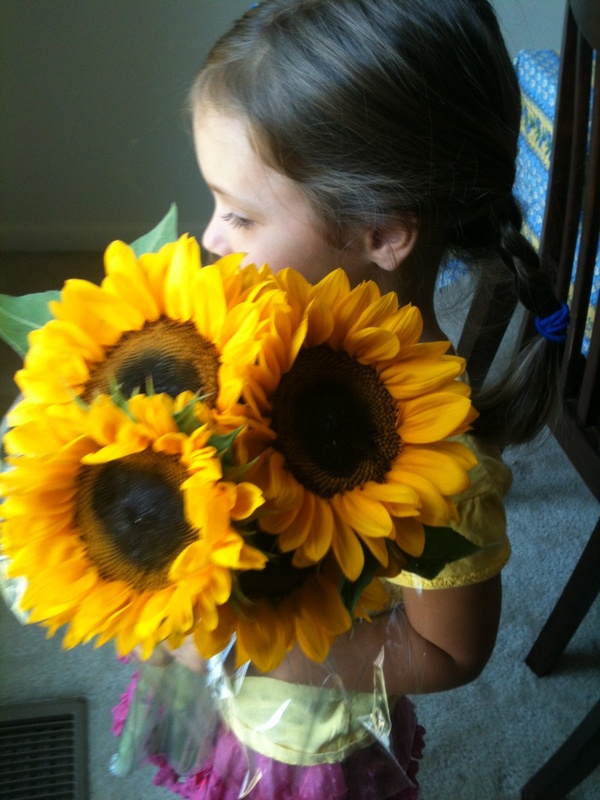 Piper opened hers and was astonished at her good fortune.